This product is available August thru March. On Wisconsin! 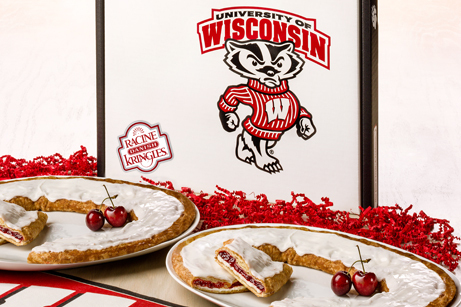 Give the gift every Badger fan will love! 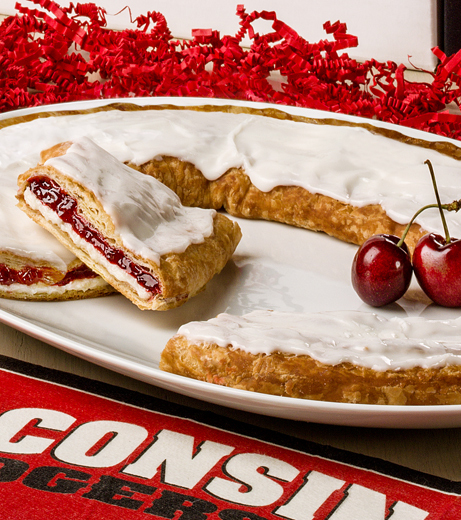 Our Badger Gift Box includes our traditional—Cherry Cheesecake Kringle filled with Door County Cherries paired with Wisconsin cream cheese and topped with sweet vanilla icing. 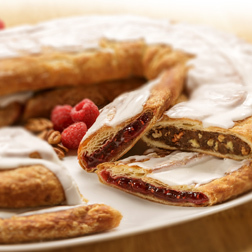 Contains egg, milk, soy, wheat, pecans. May contain traces of tree nuts (almonds, macadamia nuts, walnuts) and peanuts.